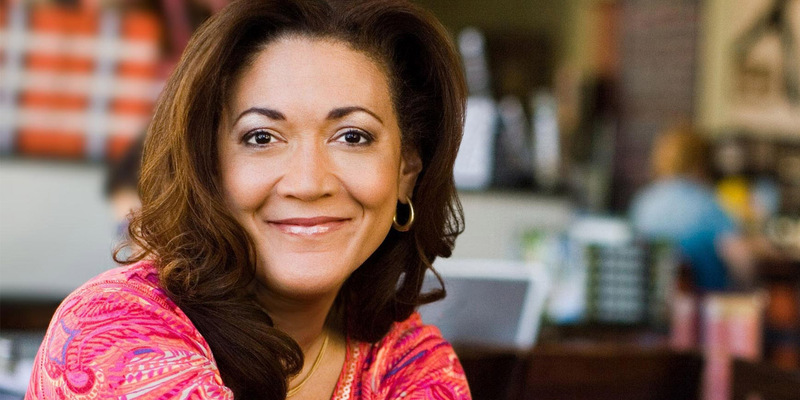 In a nation deeply divided, Michele Norris, award-winning journalist, NPR host, author, and keynote speaker at the NACUBO 2017 Annual Meeting, explains why colleges and universities are well-positioned to create inclusive environments for difficult dialogue—and to consider adding “news literacy” to the curriculum, at a time when the “media diet” is anything but healthy. Michele Norris is perhaps known best for her decade as a cohost on “All Things Considered,” NPR’s flagship afternoon newscast. Prior to that, she spent nearly 20 years reporting on politics, education, drug abuse, and poverty for network television and several newspapers. During a sabbatical from NPR, Norris traveled the country discussing her book The Grace of Silence, and developing The Race Card Project, which invited people to share their comments, questions, and thoughts about diversity and inclusion. Norris will keynote the July 31 general session at the NACUBO 2017 Annual Meeting in her hometown of Minneapolis. Following is an interview with Business Officer, in which she points to higher education’s role in promoting difficult conversations and in making sense of the role of news in society. Regarding The Race Card Project, which encourages people to communicate their thoughts in six words, why six words, and what is the significance of that technique? I knew that the concept of a six-word story would be familiar to many people, and that it would be an effective way to take a difficult subject and use that short format to synthesize and distill people’s thoughts in a very precise way. Two additional experiences supported this format. One of my professors at the University of Wisconsin encouraged us to take a difficult subject and break it down to its essential elements by reducing the concept to one sentence. That became the foundation around which you could build the rest of the story or discussion. And, when I worked at the Washington Post many years ago, Don Graham, then the publisher, used to walk through the newsroom all the time. He would stop and look over your shoulder, particularly if you were writing for the front page of the paper something called a “cue head,” which refers to the lead story on the left-hand side of the paper. He would ask you what the story was about. If you had trouble trying to explain the story, you could talk your way right off the front page. We learned to use that same trick, to reduce the story to one sentence. For example, if I was writing about two lawmakers who had been elected the same year, and they were now competing for a leadership seat in the House, I would say: ‘It’s a classic Cain-and-Abel tale.’ That’s about six words that show that you understand the nexus of the story, that you’ve got a really strong narrative. What I didn’t know, when it came to The Race Card Project, is that people would actually take the bait. It was a pleasant surprise that they accepted the invitation and sent in their six-word stories, which we eventually turned into longer, more detailed narratives. How have you used The Race Card Project to help institutions more openly address issues of diversity on campus? We’ve partnered in this work with many universities. While it doesn’t entirely solve the issues or bridge the gaps, this exercise really does contribute to opening up an avenue for dialogue. That’s really important right now, at a time when the nation is so divided, to find cultural bridges and find spaces where people can listen to each other. I put the emphasis on listening, because, so often, the effort to create a conversation involves people talking at each other instead of talking to each other. Talking to each other means that you have to create a space for someone else to tell their story, and to be willing to listen no matter how uncomfortable that might make you. It also becomes a moment for introspection, to really think about the meaning of diversity and inclusion. If it’s something that is valuable, then in what ways is it valuable? Are you focusing on diversity because it’s a mandate, because your students are demanding that you do it, or because it goes to your core values? Does it go beyond that when you create a diverse environment in which you educate students, so that they are able to learn something about another culture, or about people who’ve traveled a different path? These questions are more important now than in the past, because when young people leave the university, they will inherit a world that is very global in its nature, in which people will move around a lot, and that is far more diverse than the world that I walked into when I left university. So, those core questions go beyond relating to only skin color—to political thought, to people who fit the definition of a different kind of minority, such as veterans or people with disabilities. Asking those sorts of questions before you mount a diversity or inclusion effort will clearly have an impact on your decision making. A big incentive for colleges and universities to think about creating inclusive environments is the fact that it is, perhaps, the best opportunity that you will ever have to expose young people to different cultures. And, while diversity programs are often framed as benefiting, primarily, underrepresented communities that have not had as much access to those programs, I would posit that it is a benefit to everybody who walks the halls of those schools or walks through the quad, or walks through the front gates of those buildings—that everyone will benefit, in some way, from that kind of exposure. Looking a little deeper into this kind of work, what were the goals of your partnership with Monmouth University and Elon University? In both cases, the universities approached us to participate in The Race Card Project, because they were interested in trying to spark a productive conversation around diversity and talking across areas of differences. A lot of the submissions come in the form of questions, which I always appreciate, because it is the basis of dialogue. It creates a place where people can ask a question out loud that maybe they don’t feel comfortable asking in a dormitory or cafeteria setting. And, they’d really like to know what people think; they’d like an answer. At both universities, the work was part of a larger race and inclusion initiative that was started by the respective university presidents. At Monmouth, the specific goal was to ensure a comprehensive, holistic environment that included diversity and inclusion across the university. Campus leaders wanted to create a more inclusive campus experience for students who, perhaps, had migrated into their own kind of comfort zones, but had a curiosity about students who sat in another place in the cafeteria or hung out in another part of campus. But, they didn’t have an easy way to connect, a kind of internal cultural bridge, or a supportive system within their own cultural circle. The university wanted to flip the script, from having a conversation about diversity that might be uncomfortable or uninviting, to figuring out a way that students could express curiosity, while absorbing a little bit of culture from another group. In your book The Grace of Silence, you describe your parents as hardworking, always looking to do more, and quite well read. How might this environment have shaped you to be a leader on issues of race and diversity, and what role might it have played in your choosing journalism as a profession? The roots of my journalism career definitely lead back to my childhood and the home where I grew up. My parents were voracious readers, of both books and newspapers. They used to go to a newsstand called Shinders in Minneapolis and buy the New York Times Sunday paper, which was big and thick and larger than the Star Tribune or the St. Paul Pioneer Press. We would go through that paper for the whole week. My mom would take the book section, my dad the business section, and I would go through the arts section. And, we’d all fight over the magazine. They were also early adopters of Minnesota Public Radio. It was one of the first flagship stations to air programs like All Things Considered, and Morning Edition. They taught me the importance of being curious about the world and how to explore places that you might not see if you followed a traditional path. Family vacations are a good example. Vacation often meant that we would get in the car and drive. With gas at 25 cents a gallon, we could drive south almost every summer to visit relatives in Birmingham, where my father is from. I’d often stay until the end of the summer, when my parents would come to get me for the circuitous path back to Minnesota. When we’d stop along the way, in a city like Savannah or Atlanta or Charlotte, my father would figure out the public transportation route. We would all get on a bus and travel through parts of the city that were way off the tourist path. We’d figure out where the locals went to eat, and we’d go eat there, too. I look back on it now, and it’s a really interesting way to get to know a city, rather than following the standard tour guide. That still lives in me, that curiosity, about getting to know a place. When I go to a town, I still, to this day, ask where the locals eat. You learn something different and unique about a community. And, yes, that experience did have an effect on my decision to become a journalist, and on the kind of work I do around race and inclusion. It’s really about being curious enough to learn how life is lived by somebody else. Let’s talk about African American students being encouraged to set the bar lower—for example, to choose community college rather than a more prestigious institution. As a leader in higher education, how can NACUBO influence administrators to be more supportive of diverse students in their transition to higher education? I can’t tell you how many people, particularly those of color, I’ve known who have had a similar experience, being steered toward less-selective four-year universities, or sometimes two-year colleges, despite their performance in high school. You have to ask what’s behind that. What do you see as the value of education, and how might chief business officers redirect conversations about costs and returns, to be more convincing as to the true benefits of an educated population? Education is the most reliable engine of upward social and economic mobility. In today’s economy, we have to be open to the idea that education is something beyond just a four-year pursuit, or a four-year pursuit followed by professional or graduate school. The world is so digitized, technical, specialized, and moving so quickly, that a college education is often only the first step towards continuing education, where you refresh your skills constantly, just to stay in the game. No matter what you do, if you’re building cars or designing vehicles that will take us into outer space, you need the technical updates, along with the pedagogical value of education. There’s also the importance of creating a society that values intellectual pursuit, a baseline of humanity and humanities, and the pursuit and the debate of values in society. These are all things that you learn on a college campus, whether it’s a two-year or a four-year college, or a technical school. I’m interested to know what the argument against education would be, although I realize that there are a lot of people for whom a college education is not affordable, or is not feasible. It’s a challenge for us, as a society, to figure out how to make sure that there are paths to opportunity for people who would fall into that category. Explain the One Book program and how it helps communities pull together? The One Book programs are fantastic. And, I say that as an author whose book has been included in the program; it’s a point of pride. But, I also say this as someone who has participated as a reader in One Book programs, and seen the way that they can spark dialogue. An entire community decides to dig into a subject, to read a book and then discuss it, along with the ancillary issues. For example, at my kids’ high school, we read a book every year as a community, and it winds up creating a touchstone that we keep going back to over and over again throughout the entire year. As we read the book, we find subplots or smaller aspect of the book that spark interesting lines of conversation. When people are busy leading individual lives and pursuits, and you bring them together around this one thing, perhaps they discover that they have things in common with another community or with the people who wrote the book, or they can explore a different point of view or a distant world. The news world is so much more fractured because of all the information out there. With so many broadly accessible networks, it means that people aren’t all tethered to the same few information sources available in the past when there were principally only three networks, a small number of publishers, and only a certain number of radio stations. A third of a households, on Saturday night, would be watching Carol Burnett, bringing the viewing community together at the same time, where they all are laughing about the same thing or falling in love with the same character. So, something like a One Book program is a way to weave a community together, when it rarely happens anymore. What do you think can be done on college campuses, or in social media, or in our own circles, to keep important, inclusive conversations alive in a positive, intentional, thought-provoking way—while also respecting each other’s differences? Keeping the conversation positive is a great goal. But, if you’re going to create an inclusive environment, where you’re really willing to listen to people of different traditions and perspectives, it sometimes requires that you leave your comfort zone. There’s a big debate on college campuses about First Amendment rights: Can anyone come to a campus, stand behind a podium, and say just anything? There are limitations when it comes to hate speech or creating a threatening environment. But, this is a moment for progressives in America, who have to really test the tolerance of people, of making a space for people who have a more conservative point of view, for instance. That needs to happen. You have to find spaces where people can at least listen to each other. Not with the goal of having everyone emerge in agreement, but, instead, create an environment where people can at least listen to each other respectfully. To create islands of civility, where you can have that kind of robust dialogue, and recognizing that, sometimes, that interaction will shift into something that sounds like debate. And, may create some indigestion for people on one or both or all sides. Universities can also play a role in the future of media and the media diet that people consume, now mainly on their small devices. While there’s more access to information, it doesn’t mean that people are better informed. And, for a generation of young people who access news on the fly, it’s like watching people snack on Cheetos. At some point, we have to put some protein in their media diet. But, we can’t assume that young people are going to experience an epiphany and decide that newspapers, or more credible news sources, are important. News, at this point, may have to become part of a curriculum, including the very basics, to explain to young people what the First Amendment is and why it’s important; what the free press means in this country, and how it is a foundational principle of this country and the Constitution. “News literacy” is a term we need to examine and exalt and put into practice, in university classrooms, and even much earlier. Teach young people to recognize real news: This is what fair and unbiased news looks like. This is how to assess a news story. Look at the sourcing; is it all anonymous? Has the story been edited? Was there more than one set of eyes that looked at the story and asked the reporter questions to make sure that there were standards of fairness, balance, and accuracy? Those educational tools would help younger generations gain more understanding about distinctions, for example, between reporting and punditry, so that they will make informed choices for themselves and sometimes their country. I spend a lot of time on college campuses, and when I survey students, I find that none of them read the newspaper or other traditional news sources. For a generation of people who are now in their 20s, Jon Stewart was their Walter Cronkite. Fortunately, he understood that and made sure that his show included not only humor and his signature skepticism, but he also knew that he had a duty to inform young people, because he was a first source of news for them. An informed public is important to all of us, particularly at a time when people can bypass traditional media and inject social media streams with all kinds of alleged news or unfounded assertions. We have to fight against that, and education plays a significant role in that effort. EARLA J. JONES is director, annual meeting, at NACUBO. We have to be open to the idea that education is something beyond just a four-year pursuit, or a four-year pursuit followed by professional or graduate school. To view more of the responses, go to the theracecardproject.com. Don’t miss Norris’ keynote speech at the NACUBO 2017 Annual Meeting in Minneapolis, at the general session, Monday, July 31.